One of the long-term repercussions of divorce is the financial adjustment most people have to make as income goes from two earners down to one. This shift can be particularly difficult if children are involved, but most parents understand and accept the need to provide support until their child becomes an adult. Courts set child support payment amounts based on the income and expenses of both parents and the number of shared children. The parent who cares for the child most of the time receives the support, leaving the other parent with the obligation to pay. This number is based on information provided to the court when the parties divorced, but circumstances in life rarely remain unchanged, and unexpected events, both good and bad, can significantly affect a parent’s ability to pay. Florida law recognizes that unforeseen circumstances can occur, and allows courts to modify child support payments in certain situations. Ideally, parents who face being unable to pay support are proactive, and ask for a modification before the situation gets away entirely. The alternative of ignoring the problem and waiting for the state to find parents who are delinquent is risky given the options Florida courts have to cajole and punish parents who fail to pay their child support. Because of the connection between consistent child support and a child’s welfare, there must be a compelling reason to justify modifying the amount set in the divorce decree. 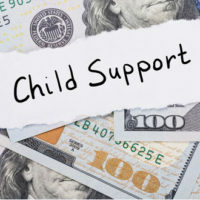 Florida law requires a substantial, unforeseen and involuntary change in the circumstances of either parent or the child before a court may order a change in child support. Further, the difference between the existing obligation and the new proposed amount must be at least 15 percent or $50, whichever is greater. Determining what constitutes a substantial and unforeseen change in circumstances is a fairly vague standard, which gives courts a lot of discretion in making a decision. This means it is difficult to know what is sufficient to convince a judge, but some situations are more likely to be accepted. a drastic change in health insurance premiums. In addition, if a child develops a medical condition that requires costly and ongoing medical care, a court is more likely to approve an increase in support. One real-life example involves actress Sherri Shepherd, who is embroiled in ongoing litigation with her ex-husband over support for a child conceived via a surrogate. The ex-husband is requesting an increase in child support due to an increase in Shepherd’s earnings, and a genetic disorder the child has that requires a special diet and regular medical monitoring. Financially supporting a child is an obligation all parents must satisfy, but determining how much can change over time. If you need to request a child support modification, talk to a family law attorney about your situation to find out if the court is likely to agree. The Tampa law firm of Bubley & Bubley, P.A. represents clients in all stages of divorce and in the enforcement of post-divorce judgments, like child support modifications, and can help you get the legal relief you need. Contact us for a free consultation.